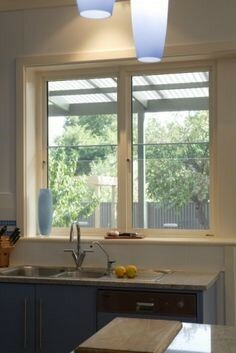 Our Sashless and Timber Double Hung Windows are Australian made to Australian standards. The architectural symmetry of Sashless and Double Hung windows offer superior ventilation, clean lines and a flush finish suited to contemporary designs. For a more traditional style customise your double hung window with KD Hardwood (Vic Ash) period horns and federation or colonial bars. 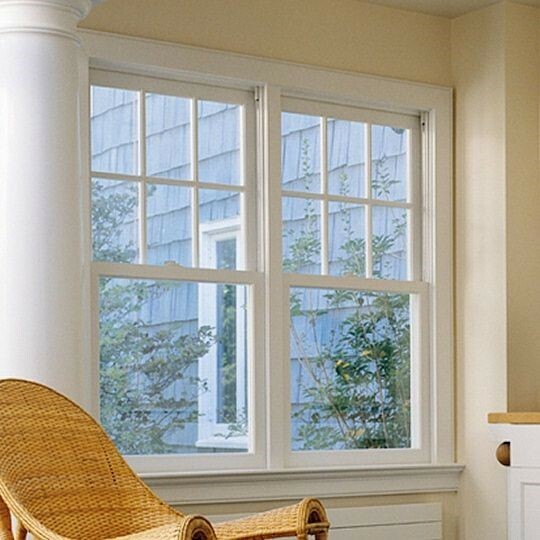 The Door & Window Exchange Sashless and Double Hung windows provide effortless opening while the sash guides and seals ensure the window is weather proof, smooth operating and rattle free. Suited to both domestic and commercial properties they are highly functional and aesthetically pleasing. 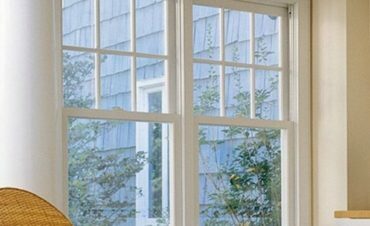 The design of the vertical sliding action of Sashless and Double Hung windows ensures excellent ventilation as both top and bottom sashes can open simultaneously. 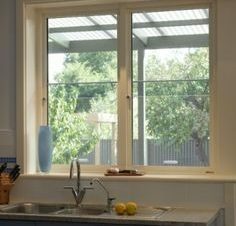 These windows are particularly beneficial in bathrooms, kitchens and laundries allowing superior ventilation control because warm moist air escapes out through the top opening whilst drawing cool air internally through the bottom opening. Sashless and Double Hung windows are also advantageous choices for areas with restricted space as they do not protrude outwards or inwards when opened, allowing complete access around them. Sashless where both sections of glass slide up and down simultaneously. This contemporary style offers uninterrupted views where two panes of glass slide silently past each other. Weights and cords where the moving sashes are counterbalanced by cast iron weights in concealed pockets in a box frame. 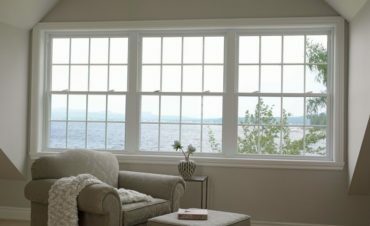 A traditional double hung heritage style window allowing large windows to move with ease. Counter weights are the most popular option creating the old style look at a more affordable price. These attractive windows slide up and down simultaneously in a KD Hardwood (Vic ash) frame. 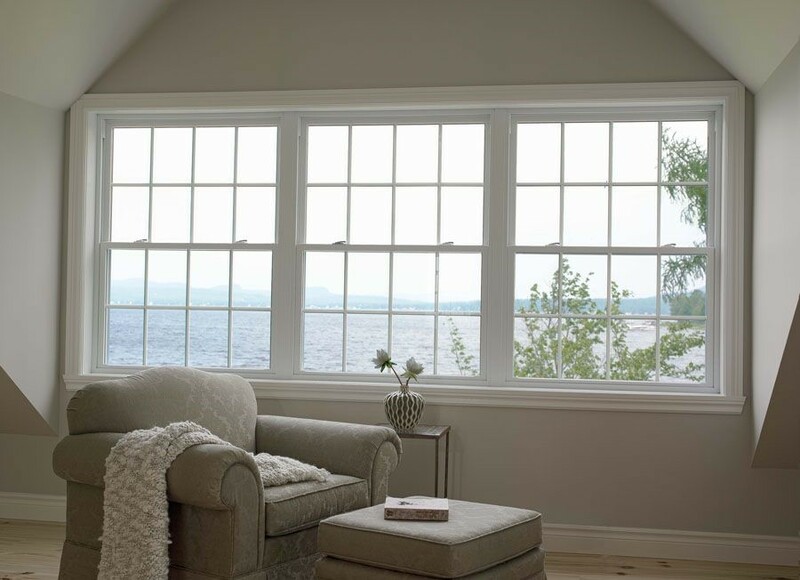 Jambliner are the most economical double hung window with sashes that slide independently of each other.